Chauncey Hager was born in Ord, Nebraska, June 28, 1909. He received his M.D. from the University of Nebraska in 1933. From 1937 until his death, he practiced medicine in Denver, Colorado, interrupted only by his service in the U.S. Army. 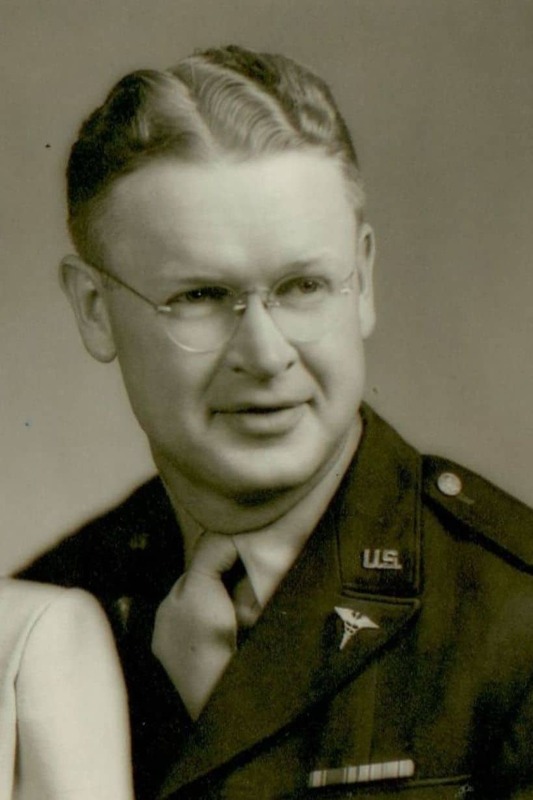 During World War II, Dr. Hager was a captain in the Army Medical Corp. Assigned to the Southwest Pacific, he was stationed with the 29th General Hospital on the island of New Caledonia, one of the first islands wrested from the Japanese after Pearl Harbor. The island was considered a vital link in the defense of Australia and New Zealand, and it became an important medical center during the war. It was easily accessible by sea and air and was malaria free, unlike most of the other islands. In total, 55 doctors and 155 nurses from Denver worked in the 29th General Hospital. In 1945, the last battle of World War II was fought for control of Okinawa. It was the largest sea-land-air battle in history, and the Allies suffered more than 50,000 casualties. Dr. Hager was chief surgeon at the 75th Field Hospital on Okinawa. Subsequent to the dropping of the atomic bomb, he served briefly in Hiroshima, Japan. When Dr. Hager returned to Denver, he married Yolanda Grinager. They had six children in seven years and remained in Denver for the rest of their lives. Dr. Hager passed away March 19, 1966 and is buried at Ft. Logan National Cemetery.